One of the best parts about winter is the outdoor activities in the snow. There’s nothing quite like the classic excitement you feel when flying down a snowy hill on a tube while breathing in crisp, cold air. If you’re looking for a great place to have fun in the snow, consider going tubing at Big Bear Snow Play. Its tubing hill was used for skiing in the past and boasts long, smooth runs. 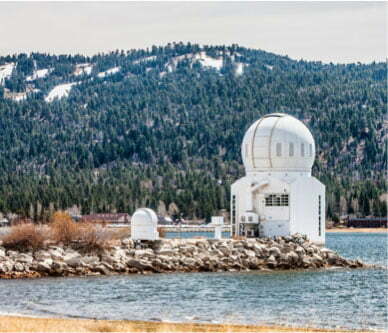 For more suggestions on fantastic outdoor activities in Big Bear, download our free Vacation Guide! Its filled with local tips on the best places to go, from ski slopes to beautiful scenic hikes. If you are in Big Bear during the fall or winter months, be sure to stop by Big Bear Snow Play for a day of classic outdoor fun! Choose from the newly constructed Big Bear Speedway or zoom down the repurposed ski hill at this popular, family-friendly outdoor attraction in Big Bear. No matter which activity you pick, you can recharge between activities inside the heated Base Lodge, complete with restrooms and a snack bar. During the winter, you can fly down through the powder on a tube at Big Bear Snow Play. There might be natural snow blanketing the ground, depending on when you visit, but if there isn’t, don’t worry! As long as it is cold enough, Big Bear Snow Play can make plenty of fluffy snow to cover what was formerly known as Rebel Ridge. The hill here sports some of the longest runs in Southern California. The best part is that you can enjoy all the fun of the length without having to worry about trekking back up the hill, thanks to the two magic carpet lifts. One of the lifts is covered with clear tunnels, making for a fun, futuristic-looking ride. Race down the hill during the day, or make your experience even more exciting by going glow tubing at night! Rush through the cool night air at Big Bear Snow Play Fridays, Saturdays, and during the holiday season from 5 p.m. – 9 p.m.
Race up to 30mph in Sodi RT8 karts through a winding course filled with hairpin turns and tight curves. The barriers are the same kind used in Formula 1 racing and other circuits worldwide, which add to the authenticity of the experience! The racetrack is open during the fall on Saturdays and Sundays from 10 a.m. – 5 p.m.
Can’t get enough of the crisp, cold air and beautiful powder? Consuder spending the Christmas holiday in Big Bear! Hit the slopes at Snow Summit or Big Bear Mountain, whether it is via snowboard, skiing, or more tubing. Enjoy an authentic bobsledding experience at the Alpine Slide at Magic Mountain. For even more wintry fun, check out our suggestions for things to do in the winter. 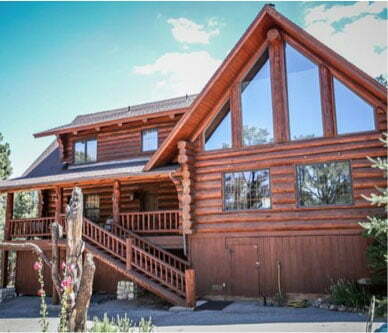 After a fun-filled day at Big Bear Snow Play, come back to relax in a Big Bear Lakefront Cabin. 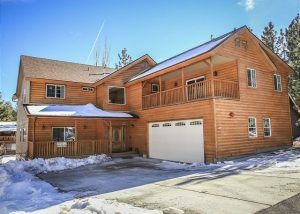 Our luxurious cabin rentals are in the best spots throughout Big Bear Lake, putting you close to all the excitement while still giving you privacy. Our top-notch amenities include fully-equipped kitchens, cozy fireplaces, and spacious decks that look out over incredible views of Big Bear. The lovely Mishka’s Place is within walking distance to the lake, less than a 10-minute drive away from Big Bear Snow Play, and close to other top attractions. This cabin is perfect for larger groups as it can comfortably fit up to 16 people. 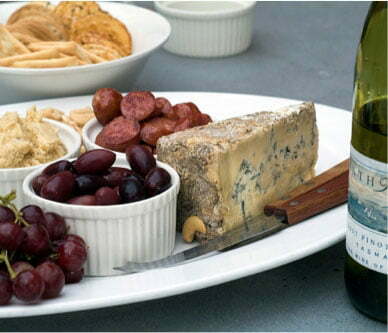 Whether you want to unwind or continue to have fun, there is something for everyone. The garage has been converted to a game room, there is a soothing outdoor hot tub, and a fireplace creates a warm atmosphere in the open living room area. This gorgeous cabin is the perfect place to recharge after a fun day in the snow! This is just one of our many elegant cabins. 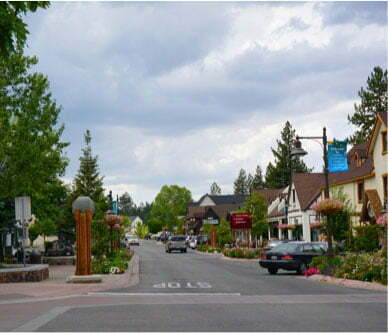 Be sure to browse all our properties before you book your stay in Big Bear!